Innovating in a category that’s seen it all. The Essential team likes open-ended project briefs because they allow us to think laterally and imagine new kinds of experiences. 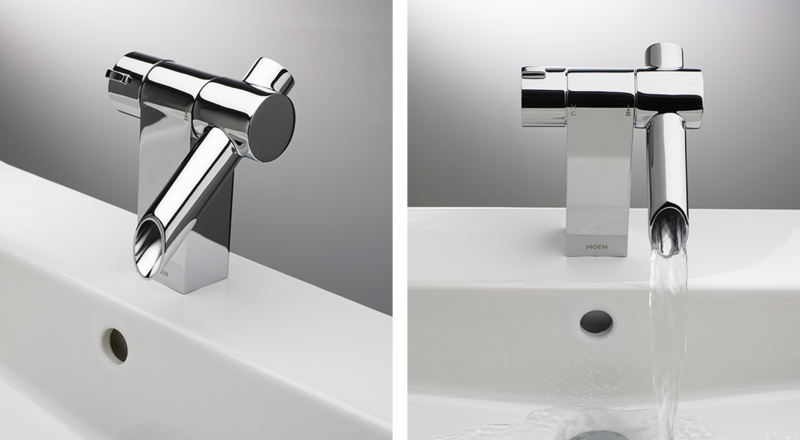 Because it seemed that every idea had been explored in the design of bathroom vanity faucets, we addressed the challenge from a novel perspective. We asked ourselves: How do we experience water in the world? By translating inspirational features from nature into forms that could be delivered within the constraints of the built environment, we found opportunity in the analogy of a pitcher pouring water. 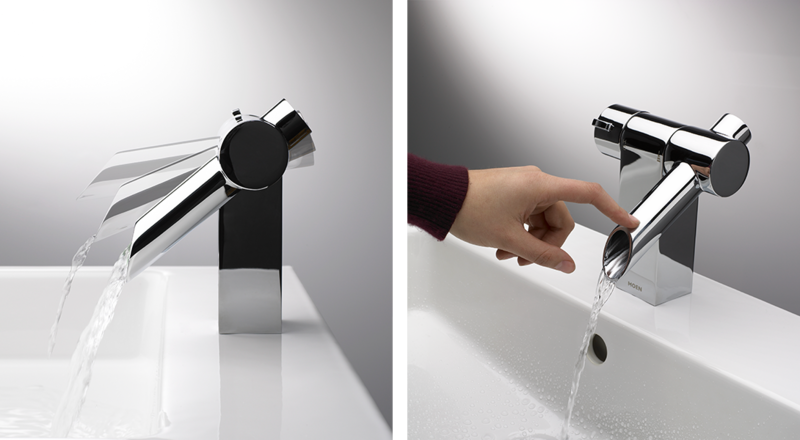 Familiar yet new, this modern interpretation of a pouring spout that modulates flow rate by spout angle created a new experience in a traditional category.